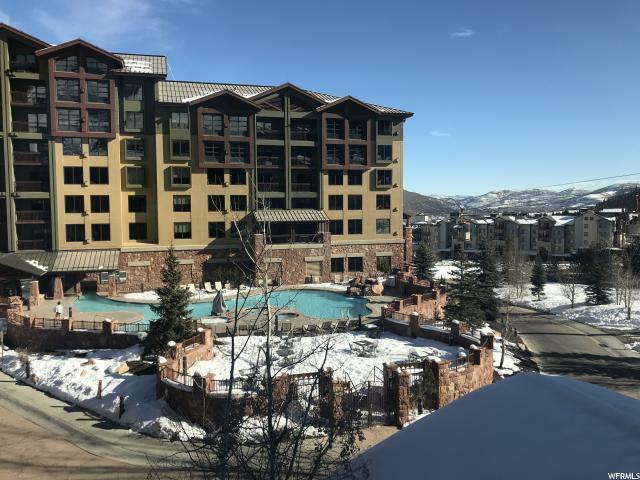 Grand Summit 4 Star Luxury Studio Condo in Beautiful Park City! Spacious layout comfortably sleeps 4 with a king sized bed and pullout sofa. Fractional share Q4. Convenient full kitchen, stainless steel appliances and granite countertops. Large bathroom also with granite counters and double sinks. This unit is perfect for accessing the mountain, ski-in/ski-out property. The Grand Summit is a four star resort property and offers a variety of winter and summer activities/events. 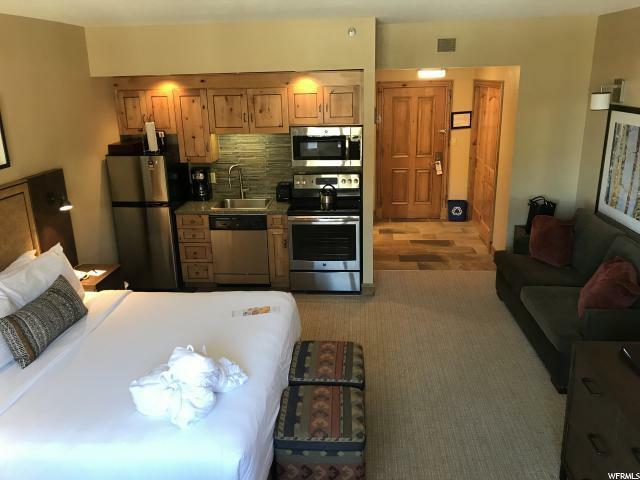 In addition to breathtaking mountain views, Grand Summit also offers: gourmet dining, Orange Bubble gondola pickup steps away, world class skiing true ski and ski out property, access to hiking and biking trails, and live music concerts. 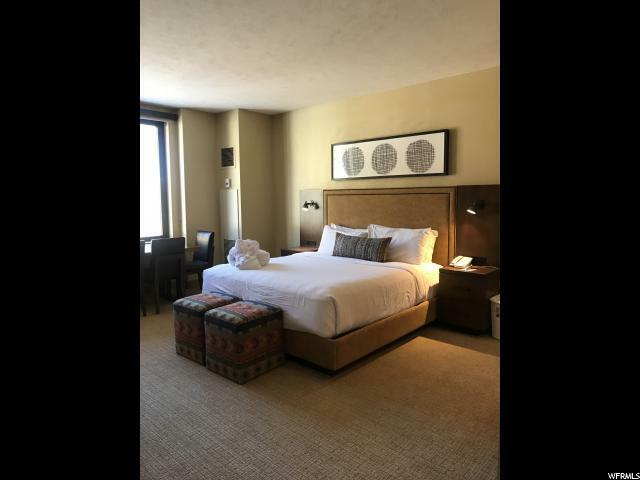 Just a few miles to Park City's historic Main Street, shops and dining, and only 35 minutes from Salt Lake City International (SLC) airport. 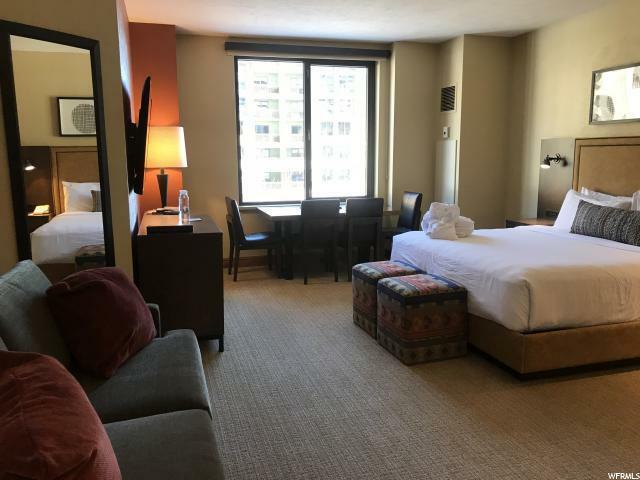 Amenities include an outdoor pool/hot tub, spa and fitness center, and valet parking. Grand Summit features a resort shuttle (winter only) supplemented by free year-round public transportation to/from Main Street, Tanger Outlet Mall and other shopping. Beautiful unit in a fantastic spot, don't miss this one! Agent Related to Seller Square footage figures are provided as a courtesy estimate only and were obtained from county records. Buyer is advised to obtain an independent measurement.